Eileen Napaltjarri was born in the Haasts Bluff community in 1956. Her father Charlie Tararu Tjunurrayi was one of the founding members of Papunya Tula Artists. Her mother Tatali Nangala is a very successful Papunya artist. Eileen grew up in Haasts Bluff, but moved to Kintore with her family, once the outstation there has been established. The main site that Eileen refers to in her painting is Tjiturrulnga, which is slightly west of Kintore and also the birthplace of her father. Eileen was immensely influenced by the paintings of both her parents and often watched them as they painted. 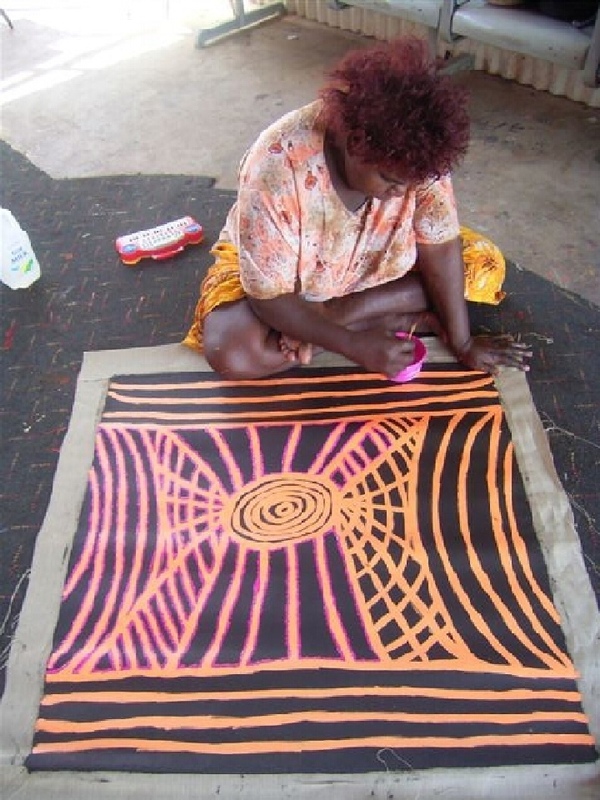 In 1999 she began to paint regularly for Papunya Tula Artists. 2005 Eileen Napaltjarri - Lines, Utopia Art Sydney, Sydney.